Are you looking for a new band to keep updated with and listen to their awesome music this summer? Well, look no further because Citizen Four is going to be everyone’s new obsession. 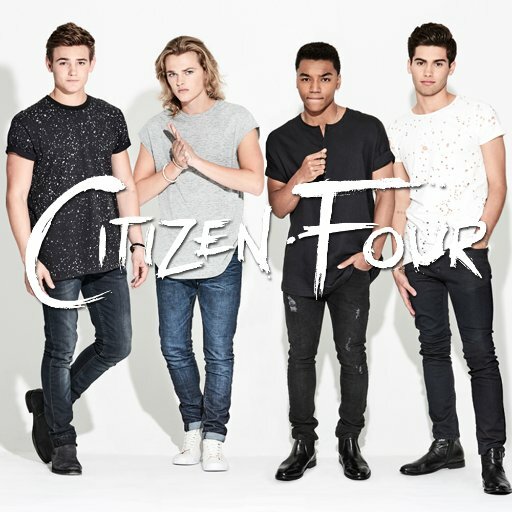 Island Records just announced the latest addition to their musical family, Citizen Four, an incredible band whose members include Josh Levi, Conner Boatman, Carson Boatman and Austin Percario. All so magnificently talented, Josh, Conner, Carson and Austin make one terrific band that everyone is gushing over right now! Citizen Four even released an excellent cover of “Needed Me” by Rihanna and it is absolutely sensational! Check out Citizen Four’s “Needed Me” cover below and be sure to share it around to all of your friends and family on all of your social media networks! Previous Article: Join The Adams Sisters As They Bring Clean Water To Impoverished Countries In Nickelodeon’s New “The HALO Effect” Episode Premiering 6/17!